The 18th annual Spring Boating Expo, which ran March 11-14 at Rock Financial Showplace in Michigan, saw a 25 percent increase in attendance this year, organizers said. A total of 14,135 people attended the event. In addition to increased attendance, show management noted many exhibitors reported increased sales compared to the prior year&apos;s event. "We also feel excellent &apos;show&apos; weather, strong advertising and media coverage, and new promotions helped bring people to the event," said show manager Van Snider. The Michigan Boating Industries Association produces the Spring Boating Expo, as well as the Detroit Boat Show. The MBIA will produce a new show, the Boating & Outdoor Recreation Festival, Sept. 22-26 at Metro Beach Metropark in Harrison Township. The 23rd annual Maine Boatbuilders Show opens Friday in Portland, Maine at the Portland Company Marine Complex. The show, which runs through the weekend, features about 200 exhibiting companies. More than 50 boats will be on display. "The show provides an important outlet for boatbuilders from Maine, Canada and New England to showcase everything from small rowboats to powerboats and sailboats of every size, using traditional construction methods alongside the latest in cutting-edge composite technology," show organizers said. The show is expected to draw about 10,000 people. 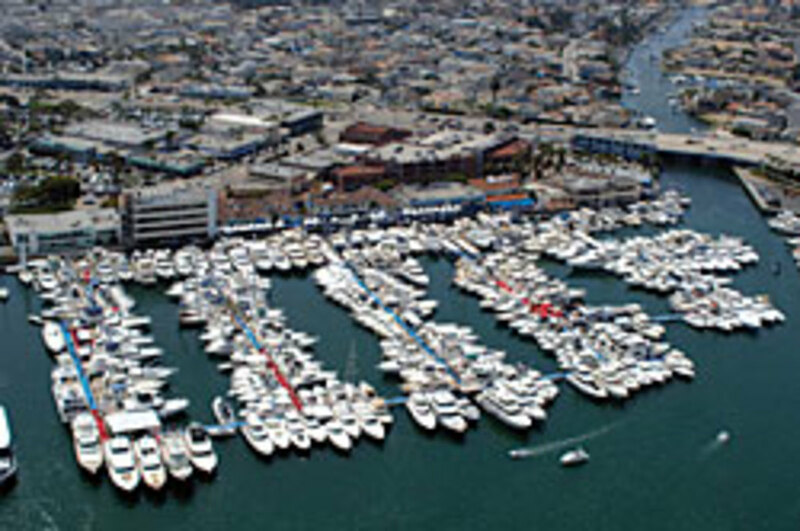 The Newport Boat Show returns to Lido Marina Village April 15-18 for its 27th year. More than 250 boats and yachts are expected to be on display on more than 400,000-square-feet of floating dock exhibits and boardwalk displays. "The new year is shaping up to be great for the Newport Boat Show," show producer Duncan McIntosh said in a statement. "Based on the numerous inquiries we&apos;ve already received, we expect to see both exhibitors and consumers come out in force at this year&apos;s event." Chesapeake Harbour Marina, in Annapolis, Md., is opening its facility to dealers and brokers for a Boutique Boat Show, set for April 30-May 2. More than 40 boats are expected to be on display. The initial exhibitor list includes The Hinckley Co., Annapolis Yacht Co, Oxford Yacht Agency, Walczak Yacht, Selene of Annapolis, Frans Yachts, East Coast Yacht Sales, Intrinsic Yachts, Just Boat Loans and Sterling Acceptance. For information, contact Bill Walczak at walczakyacht@yahoo.com.